How To Choose Crystal Pendant Light Kitchen Island? 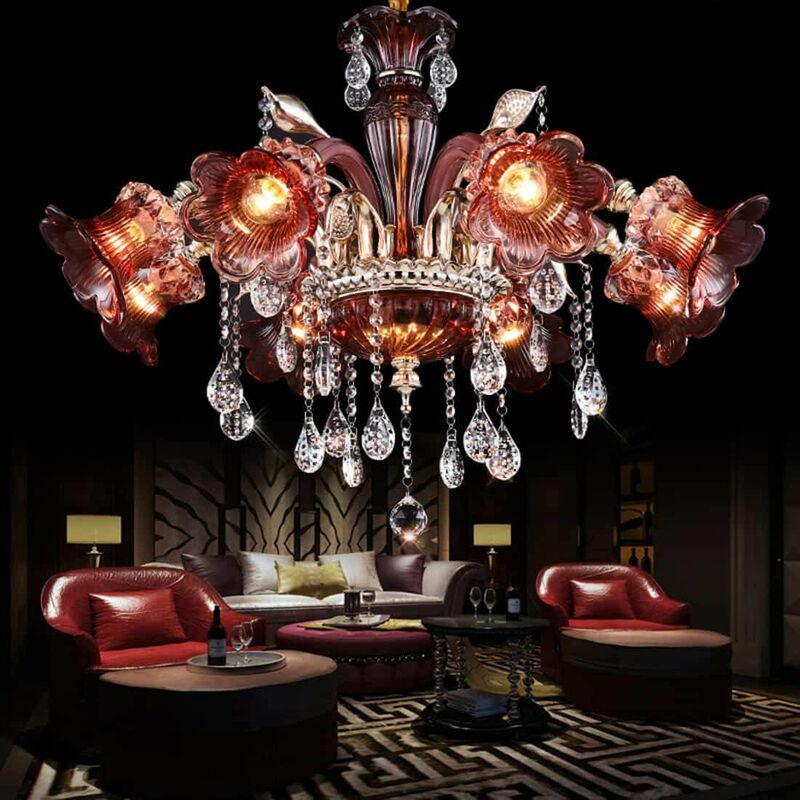 Advances in lighting design and technology have led to a huge variety of chandelier and pendant lamps. 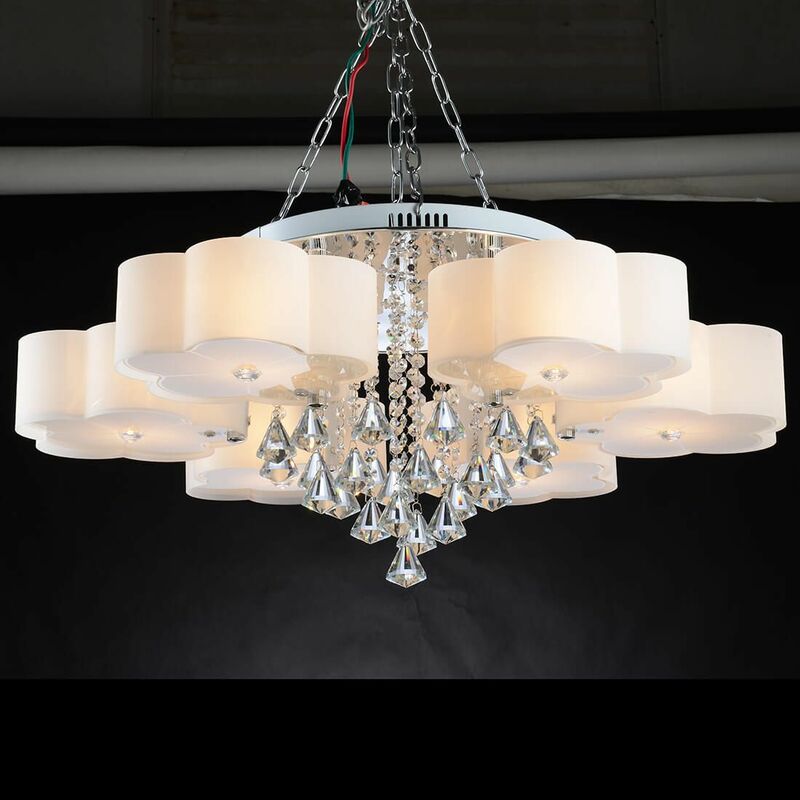 However, none of these hanging lights can replicate the grand and enchanting effect of modern crystal pendant light. 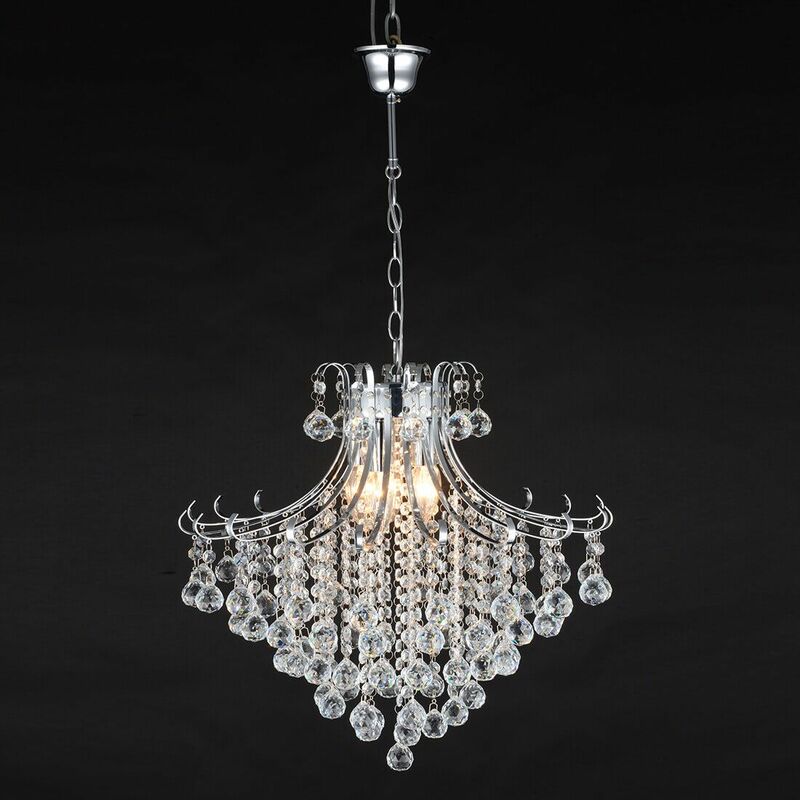 Hanging crystal pendant light remains one of the most popular trends. 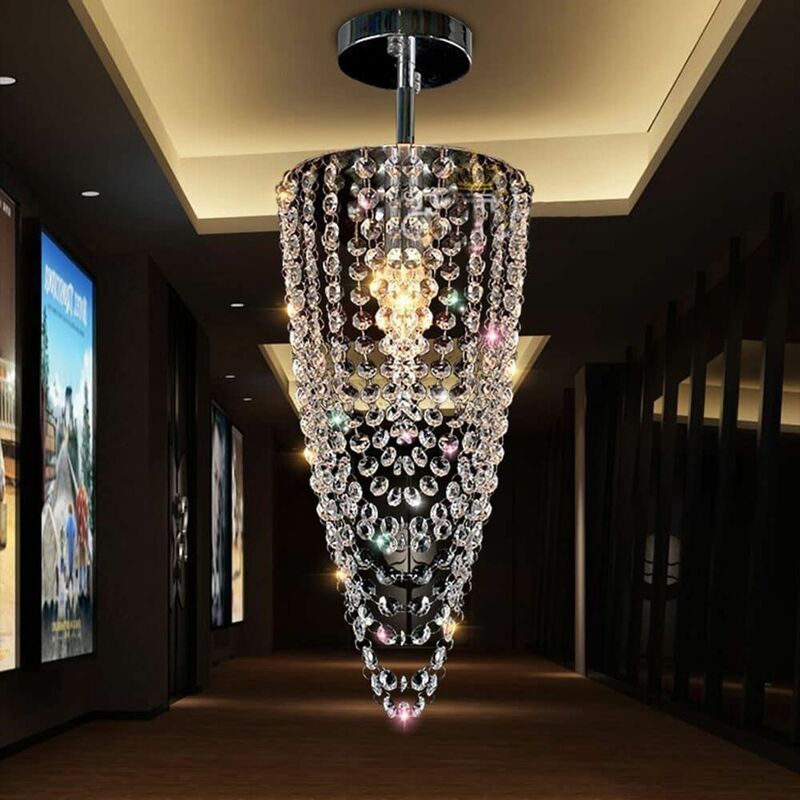 Wotefusi provides a definitive and handy guide for selecting a high-quality crystal pendant lamp (e.g., kitchen island crystal pendant light, bedroom crystal pendant light, bathroom crystal pendant light, living room crystal pendant light, bedside crystal pendant light, dining room crystal pendant light). You can check the weight and density of the crystal, judge the quality of a crystal with a few hand measurements. 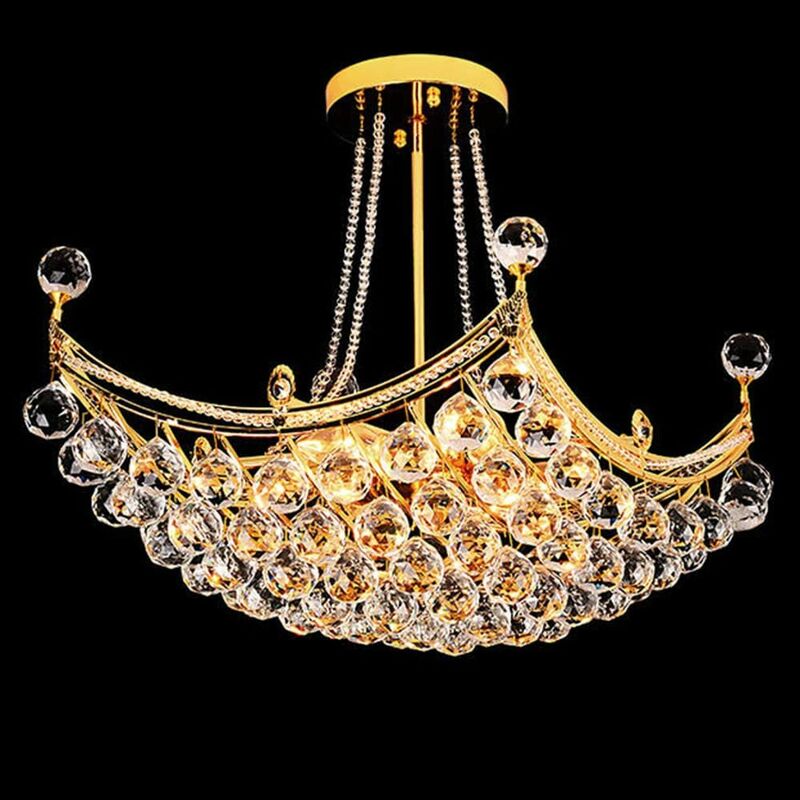 A good quality Crystal Pendant Light would use a crystal heavy in weigh to achieve the desired effect, for example, Swarovski crystal pendant lighting. You can check for the cutting surface of a crystal. The cut of a crystal depends upon the processing technology. 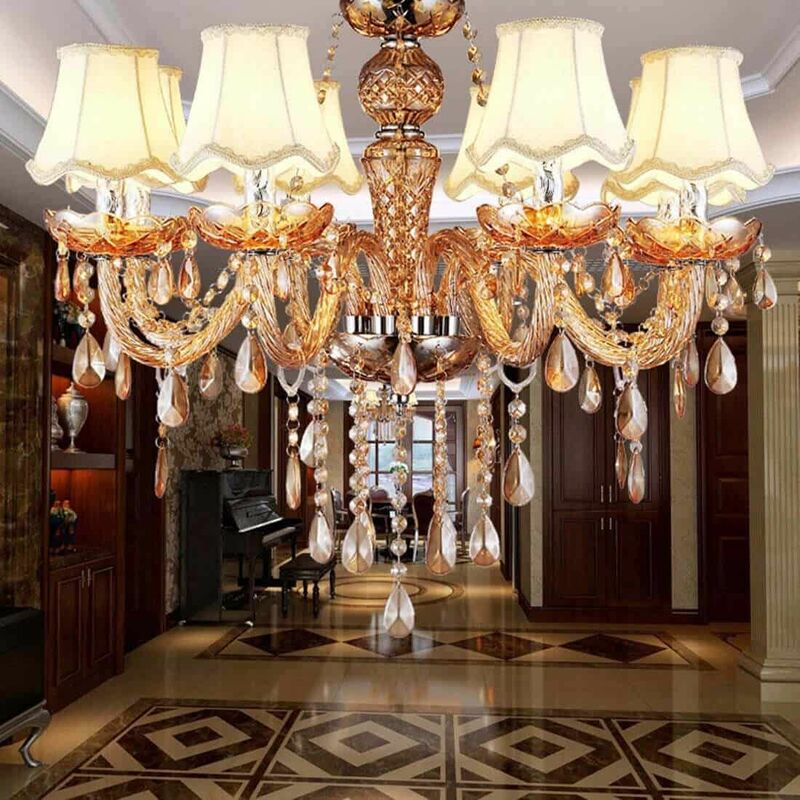 More advanced technology can lead to a high standard crystal that will generally increase the cost of a crystal chandelier. Another easy lookout for a high-quality crystal is to check for bubbles; the crystal is processed from different chemical raw materials, the high-quality crystal has no bubble. The quantity of lead in crystal composition is also a way to asses the quality. A good quality crystal would limit the amount of lead to the minimum and would generally cost more. 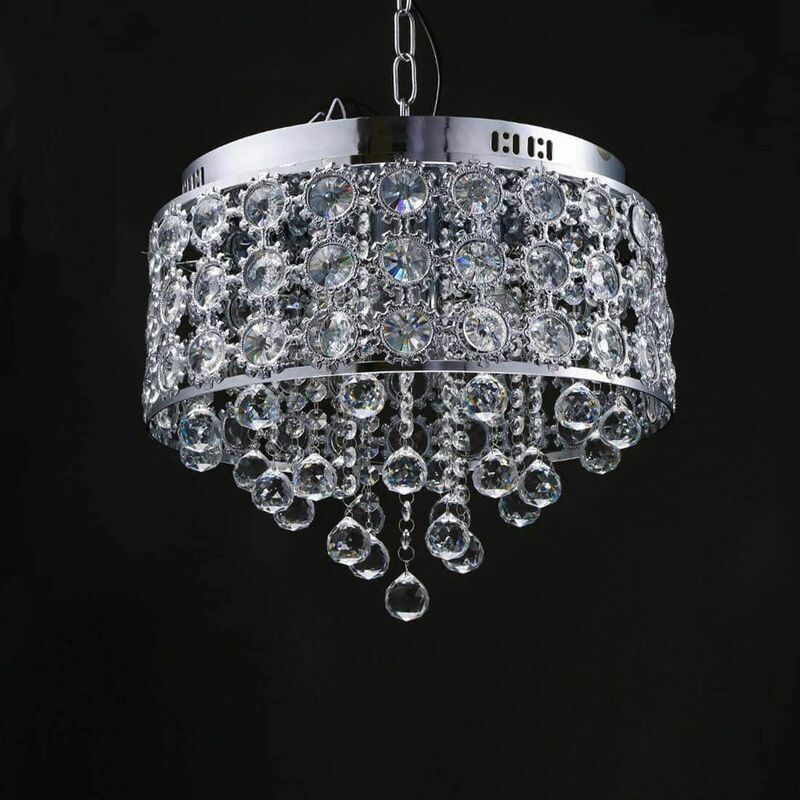 Therefore, a significant amount of cost of a crystal hanging lights is towards the quality of the crystal. Another essential feature of a crystal pendant light is the ability to refract and amplify the lighting effect. Hence a highly transparent crystal implies a crystal of good quality, that could amplify the lighting effect. The trick is to stand at a distance and observe the refracted light from the crystal hanging light. In natural light, the crystal would produce colourful refraction of light. This characteristic remains a critical factor in determining the quality of a crystal. It can ensure that the crystal pendant lamp in your home can produce dramatic and dynamic lighting for a distinctively grand and luxurious interior space. The best test for any high standard light fixture is to maintain the same level of quality even after a reasonable period. A low-quality crystal chandelier lamp would not smear with time. On the other hand, a good quality crystal may be an expensive but a long-term investment. Therefore, a good quality crystal would not tarnish or become less shiny. The high-quality crystal will continue to show off its bright and shiny surface to create an enchanting effect in entryway, bedroom or living room. A good crystal pendant lamp, wash these crystals with water and then wipe with a dry cloth. 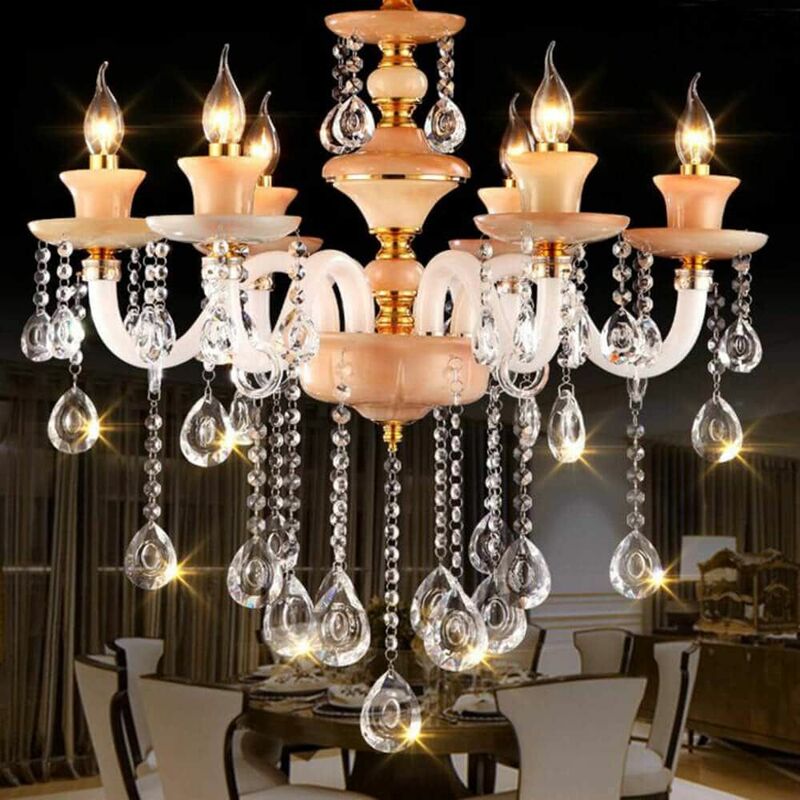 Cleaning crystal pendant light once a year may be adequate for a good quality crystal, the crystal pendant lamp would undoubtedly retain the quality of gloss and refraction. A low-quality crystal lamp, even when appropriately cleaned, may lose its shine and brightness when used for a long period. 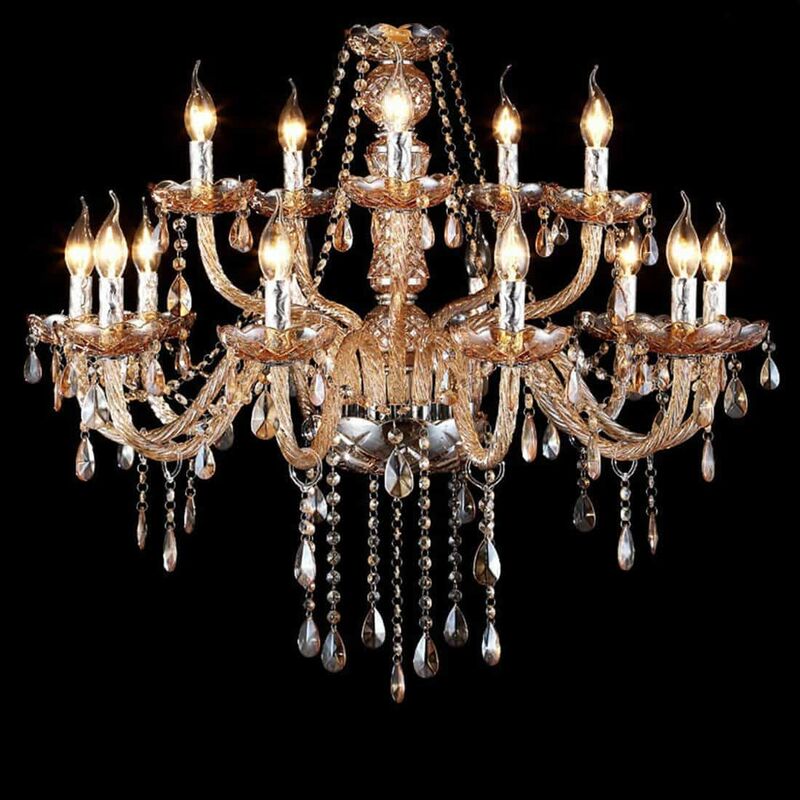 The fact is that a high standard crystal chandelier may not be the most high maintenance light fixture in your house. Therefore, investing in a high-quality crystal chandelier could be the best option to glamorise your home and provide a grand, dramatic and luxurious flair for the longest period.